Steve Schlitz focuses his litigation practice in the areas of insurance defense and general civil litigation. He has tried over 70 cases to verdict in 15 counties in Wisconsin, involving automobile negligence, boating negligence, premises liability, brain injuries, low velocity impacts, timber trespass, fires and explosions, real estate disputes and breach of contract disputes. Steve received his Bachelor’s degree in Finance from the University of Wisconsin-Oshkosh in 1990 and received his law degree from the University of Wisconsin Law School in 1993. 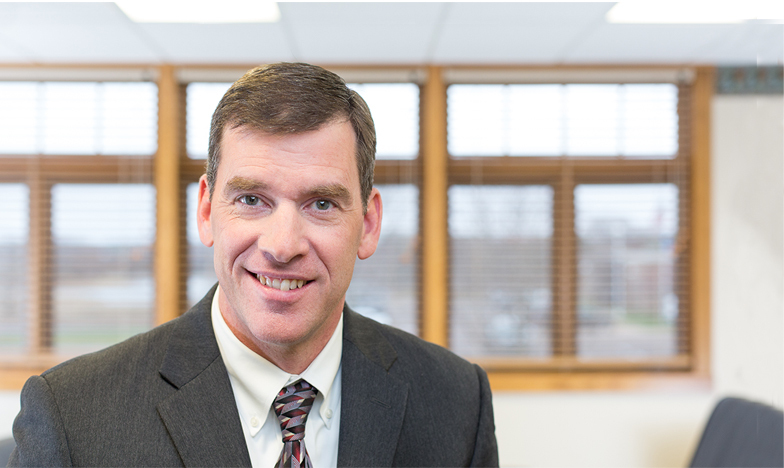 Steve is licensed to practice in both Wisconsin State and Federal Courts. Steve is a member of the American Bar Association, Wisconsin Bar Association (Litigation Section), the Eau Claire County Bar Association, the Wisconsin Defense Counsel (former member of the Board of Directors), the Defense Research Institute and Association of Defense Trial Attorneys. Steve has been an active Little League baseball coach and AYSO soccer coach for many years. He has also volunteered at the Eau Claire Legal Clinic and has coached and judged the high school mock trial competition. Steve and his family reside in Eau Claire, and in his spare time he enjoys hunting, fishing, golfing and downhill skiing.